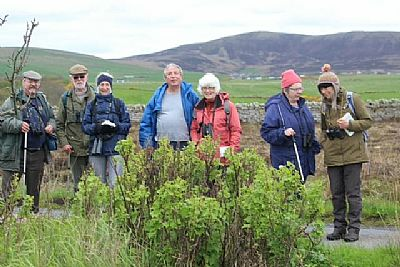 ‘We happy few’, eight in all, met for the first botany group outing of the year. 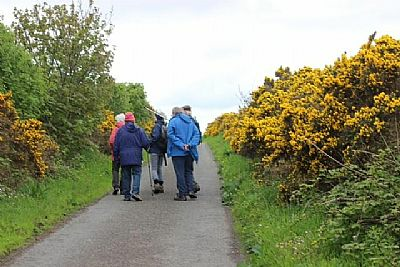 We gathered at the round church car park in Orphir for a circular walk along the cliff path and up through the woods at Gyre, thence back to the cars. It was dry and bright but not that warm. Having admitted I had a pencil and paper I was set to work noting down immediately such rare species as Daisy, Buttercup and Nettles (! )...but was soon pleased to see Celandin , Primroses the leaves of Silverweed , Creeping Buttercup and Marsh Marigold. We were delighted by an abundance of Violets along the path and not a little confused by delightful deep purple beauties along the field margins. 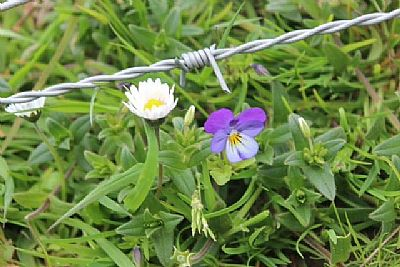 Much discussion ensued, could they be Field Pansies (a little early) or were they garden escapes? Also prevalent was Creeping Willow (both male and female flower spikes which Jenny pointed out for us) this looked particularly beautiful when interspersed with the prolific grey Lichen growing on the dry stone dyke on our left. A little further along the coastal path Ling and Crowberry were growing closely together. 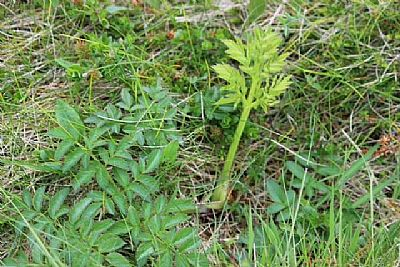 There was plenty of evidence of plants, including Angelica, Hogweed, Meadow Sweet and Cow Parsley, this just beginning to flower. Chris met up with us walking from Gyre and was surprised we had not progressed further along the path, but there was much to distract us not least the wide seascape. There had been reports of Orca sightings in the area the previous day so we kept a good look out but they weren’t co –operating. We did see a Great Northern Diver quite close to the shore which was a treat. There was also a great deal of shipping activity in the Flow, eight tankers in all! The habitats change along the path from coastal heath to worked soil and so there is plenty of variety in the plants. 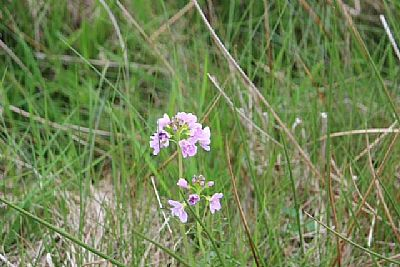 As we turned up towards the road we noted Speedwell species, Mouse- eared Chickweed, Bittercress, Pinkpurslane, Lady’s Smock and Red Campion. Walking on the road we were surrounded by Gorse in full flower with characteristic coconut perfume. Much in evidence too, were the rhubarb- type leaves of the Butterbur. 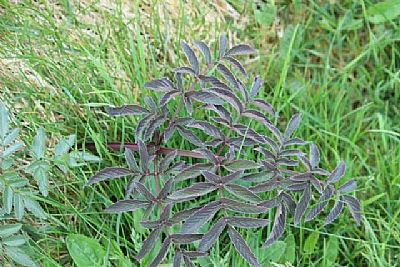 Garden escapes included Raspberry, Bramble, Blackcurrant and another similar bush but without the distinctive smell on the leaves...any ideas? The Marsh Marigolds were lush in the Gyre woods and Trevor pointed out a Bracket fungus on one of the old Sycamore trunks. We all admired the contorted trunks of the Sycamore specimens here but we also noted Rowan and Ash, Jenny told us that there could be both male and female flowers on the same tree which is intriguing. We saw 37 different species of plants excluding the trees and garden escapes. Not bad for this time of year. A most enjoyable afternoon capped by delicious tea and cakes courtesy of Chris and Marguerite, for which many thanks! Spanish bluebell, Celandine, Silver weed, Marsh marigold, Meadowsweet, Angelica, Hogweed, Cow parsley, Nettle, Meadow buttercup, Creeping buttercup, Ribwort plantain, Vetch, Creeping thistle, Spear thistle, Violet, Primrose, Sorrel, Tormentil, Heather Ling, Crowberry, Creeping willow catkin, Thrift, Horsetail, Birdsfoot-trefoil, Spring squill, Bitter cress, Speedwell common, Punk purslane, Cotton grass, Lady's smock, Butterbur, Foxglove, Wych elm, Bracket fungus, Gorse.